During the recent school spring break, we took a trip to Pasadena in southern California just so we could visit the Huntington Botanical Gardens. The road trip took us 7 hours but it was worth the time because I thoroughly enjoyed the day we spent at the gardens. I didn't get to see the Japanese Garden because most of it was closed for renovation but the Chinese Garden was open and I loved the pictures that I took of it! Friends thought the pictures were taken in China! The Desert Garden was really something. I could easily have spent the whole day at this garden! I was very happy that most of the cacti in the garden were at the peak of their flowering season, and I had a great time photographing the cactus flowers - something that I don't normally see! Before we drove home that weekend, we made a 2-hour stop at the Los Angeles County Aboretum because it was quite close to the hotel we stayed at. I saw flowers and plants that I did not see at the Huntington Gardens and was glad we made that stop! 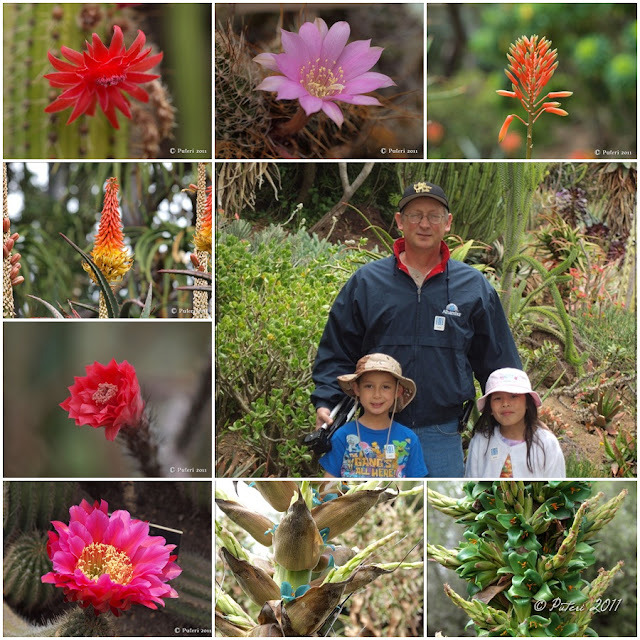 The Epiphytic cactus flowers were indeed spectacular! This trip is one that I would not mind repeating.